The trade group also unveiled research on direct-to-consumer brands’ impact on marketing, advertising and consumer engagements. Bringing together the separate data sets for customers and prospects may be essential, but brands have differing needs — and therefore different solutions. Marketing teams should regularly reevaluate how they approach cybersecurity and work in tandem with their IT department, especially during third-party mergers and acquisitions. Teemo says that transparency gives consumers a sense of control and they respond positively as a result. 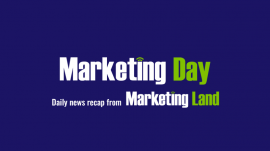 The post Marketing Day: IAB adds DTC leader to board, identity resolution options, cybersecurity for marketers appeared first on Marketing Land.